While we always invite you to contact us directly to discuss your roofing needs, below are some frequently asked questions (faq’s) we have been asked in the past, and our answers to them. Q: Should attic ventilation needs be addressed at the same time that my home is re-roofed? A: Yes. Proper ventilation will help save summer energy costs and will help avoid an unhealthy and potentially damaging build-up of moisture in your attic. Good ventilation requires both intake and exhaust vents, making roofing or re-roofing the perfect time to ensure that your home’s ventilation needs are met. Q: How will the penetrations, such as skylights and roof vents on our metal roof be flashed? A: Many roofing materials are heavily dependent upon sealants to seal around chimneys, skylights, attic vents, and pipes. While sealants will be used on your metal roof, they should not be the sole line of defense against water intrusions. As part of a new roofing system, your Kassel & Iron’s installation crew will ensure long term performance without sole dependence on sealants. Q: Will gutters be used with a steel roof? A: Yes, gutters (eave troughs) can be used with steel roofs. In most cases, our advice is to use a heavy duty gutter such as a 6” K-Style gutter produced from .032” aluminum. Additionally, we advise hanging the gutters as high as possible, with appropriate pitch for drainage. In order to avoid interference with the roof system, gutters should be installed using fascia-mounted brackets. If necessary, the roof system drip edge can be notched to allow for the brackets. The drip edge should always direct water into the gutter. Many of the gutter protection and cover systems can also be used with metal roofs though our preference is for leaf control systems that sit inside of the gutter and, again, do not interfere with the roof system. Q: Will a metal roof interfere with phone reception and other electronic transmissions inside my home? A: If you have fair to excellent cell phone reception and internal system signals within your home now, a metal roof should not have any noticeable effect. Chances are that you currently use your cell phone and other devices inside of metal roofed buildings now, such as restaurants, stores, your bank…maybe even your workplace. Your home environment, with a metal roof, should be about the same. Q: Is underlayment used beneath a steel roof? A: All of our roofs require solid decking. Whether the installation is over old shingles or directly over wood decking, underlayment should be used. Roofing underlayment is required by the International Building Code and it helps protect the back side of the metal from any rough surfaces below the roofing material. Generally, one layer of synthetic underlayment is used or one layer of 30-pound felt. In certain areas, as required by code, ice and watershield products or fire-retardant underlayments will be used. Q: Can we walk on a Kassel & Irons metal roof? A: Our high-strength steel, combined with deep texturing, don’t loose their strength over time, making our roofs resistant to foot traffic and even hail, even as they age. 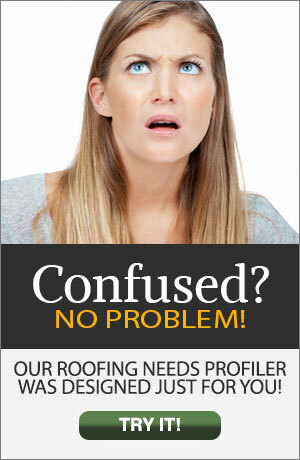 Your product representative can give you instructions on how to safely walk on your roof. It is also important to note that the random texture of our steel shingles will mask any minor indentation that may occur. Q: What is the minimum roof pitch on which a Kassel & Irons Roof may be installed? A: No roof should ever be installed at a pitch lower than that recommended by its manufacturer. Our metal shingle products require a 3:12 pitch. If you have a roof section that is lower pitched, standing seam roofing solutions are available for that area and can usually be used down to 2:12 pitch. Q: Who would install my new Kassel & Irons steel roof? A: We have established a network of independent contractors who sell, install and service our products throughout Canada and the United States.. These companies are experienced and well trained by us for product knowledge and installation. We will happily make a referral for to you the representative in your area. Q: Will a Kassel & Irons steel roof attract lightning? A: Metal roofing does not create or attract lighting and poses no additional lightning risk to homes and other structures it protects. For more information on this subject, here is a technical bulletin from the Metal Construction Association. Q: How much rain noise can we expect on a metal roof? A: Our steel shingle products are textured, and avoid much of the noise expected from rain hitting a a flatter metal roof. For normal construction methods, steel roofing does not create any objectionable noise during rainstorms. Ventilation and attic air space have an impact on sound absorption, as can roof roof underlayment materials. Q: How does a steel roof handle hail? A: The heavily-textured beauty of our steel shingle roofing systems adds strength and prepares them to take whatever the weather dishes out. Our warranty provides specific hail protection including protection against finish damage and leaking due to hail. Additionally, unlike most other roofing materials, metal does not lose impact resistance with age – this is a real bonus over other products which become more susceptible to damage with each passing year. Because of our Class IV UL 2218 Impact Resistance Rating, you might even be eligible for a discount on your homeowner’s insurance. In the event of an especially severe storm, if an indentation does occur, it can often be repaired easily and invisibly by capping over the damaged shingle panel with a new panel. Learn more about steel roofs and hail. A: Steel roofs are non-combustible and provide great protection from external fires. The extremely low weight of a steel roof minimizes any cave-threat that might occur in the event of an exterior house fire. Q: What happens when dirt collects on my metal roof? A: The PVDF coatings used on quality metal roofs consist of a very tight molecular bond that encourages dirt to wash off of the roof. In most environmental conditions, these roofs stay very clean over the long term. However, while these coatings will not support the biological growth that leads to dark streaks and stains on granular surface and shingle roofs, there are certain environmental conditions which can cause dirt to collect on the roof. The worst situations are in areas with surrounding trees, and this is made worse by trees that lose sap which can stick to the roof and then hold dirt or even support biological growth over time. Additionally, heavy pollen or airborne fungus can land on a roof and stick there. Areas prone to heavy and frequent dew (such as waterfront or near-waterfront properties) can also exacerbate this issue by creating a sticky or gummy coating on the roof. We always tell folks to imagine letting your car sit out in the area of your roof and not washing it. The results on it, over time, will be similar to what will happen on your roof. In some cases, folks like this because it helps the roof to take on a more “woodsy” or “natural” appearance. The resulting grime on the roof, while it can be cleaned by scrubbing or light power washing, will not normally be something that damages the integrity of the roof system or its finish. Q: What about the areas on my home’s roof that collect debris? A: Ice, snow, tree leaves, pine needles, and more can collect on certain areas of your roof. If any of these items are a problem on your roof, there may be special ways to install your metal roof which help to allow for this collection of debris without damage to your roof. Consult with us if you have concerns along these lines…we have solutions. 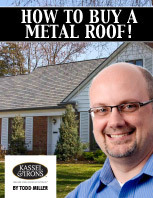 Q: How does a metal roof from Kassel & Irons compare in cost to other standard roofing materials? A: An immediate and ongoing increase in your home’s value comes from your investment in a Kassel & Irons steel roof. 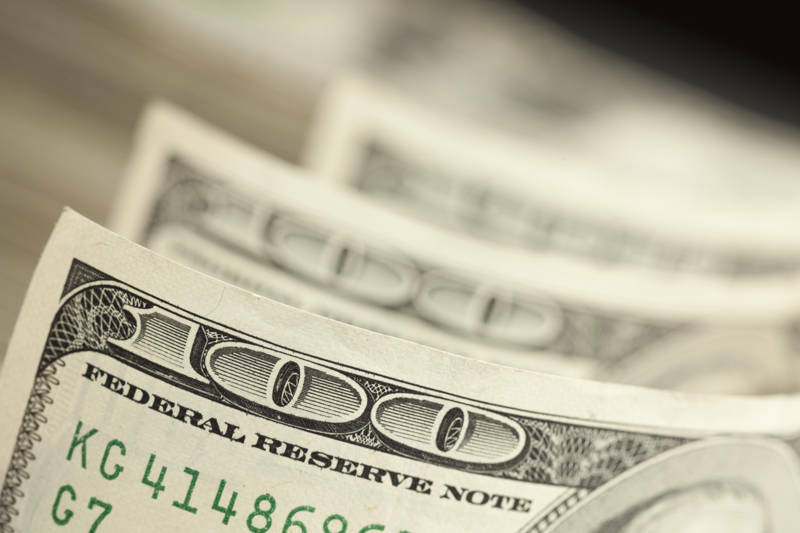 Though the upfront cost is higher, homeowners who plan to stay in their home through at least 1 more re-roofing cycle (usually 12 – 17 years), will experience a significant financial benefit from having a roof that will not have to be replaced in that time, and even longer. This is a permanent roofing solution, that will also save you money on home energy bills. Q: Why not just go to a Big Box home improvement store and purchase metal roofing for my home? A: At Kassel & Irons, we are dedicated to providing high quality, beautiful, and durable products…that last a lifetime. Homeowners who choose to purchase “big box” products can be disappointed not only in the performance of the metal roof, but in the installation process, lack of color and finish selection, and certainly in the warranties offered. We distribute our products through a network of highly trained and highly qualified dealers, who are familiar with your community, your climate and who can become a partner with you on determining the best roofing solution for your home. Q: Will a Kassel & Irons roof last long than common roofing products such as asphalt and wood? A: Asphalt and wood shingles are temporary roofing products. When used, they begin to deteriorate the day of installation. The asphalt roofing industry sets the average life of a traditional shingles at 12 to 17 years. Heavily pro-rated or limited warranties on these products bring little or no value to homeowners. Wood shingles deteriorate quickly, too. A Kassel & Irons steel roof carries a long-term warranty on both the base metal and its high quality coatings. You can expect our steel roofs to last for a lifetime. Q: Is a Kassel & Irons roof environmentally-friendly? A: Our roofs are made from 35% recycled steel and their long life expectancy guarantees sustainability. Add in energy efficiency and the ability to be installed over most existing roofs (avoiding landfill disposal of old materials) and you have a very environmentally-friendly roof that can be a major contributor to LEED points. In comparison, temporary roofing materials use up precious natural resources and pollute the earth by sitting in landfills. Q: What is the Metal Construction Association Certified Metal Roofing Panel Program and why is it important? A: The Metal Construction Association (MCA) is North America’s leading trade association for metal roofing as well as other exterior metal building products. MCA membership consists of the leading metal roofing manufacturers as well as their coating and metal suppliers. MCA developed the industry’s only Metal Roofing Certification program several years ago as a way for property owners as well as designers, builders, and architects to delineate the difference between quality metal roofs and inferior products. The association had, for several years, noted the influx of “secondary” or “rejected” metal and panels into the market. These products typically have inferior coatings and/or base metals which threaten their long term protection. The products that are Premium Certified by MCA undergo close scrutiny and auditing to ensure they are made of only quality materials that meet the established MCA standards. Our company is one of just five manufacturers currently meeting the requirements of this stringent program and able to sell products as MCA Premium Certified. This allows our customers freedom from worries of receiving sub standard product. Additionally, as part of the MCA program, each roof panel we produce is labeled so that it can be tracked back to a raw material run and supplier. We strongly encourage consumers to purchase only products that carry the important MCA certification.